17. Which escape sequence takes the cursor to the beginning of the current line? (A) The carrier frequency disappears when the modulation index is large. 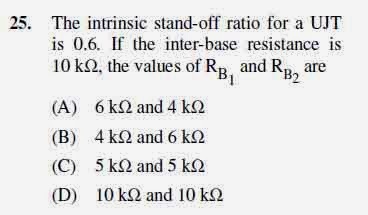 (B) The amplitude of any side band depends on the modulation index. 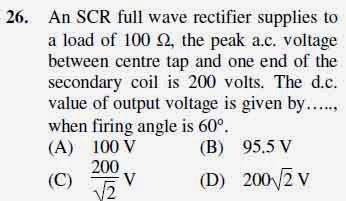 (C) The total number of side bands depends on the modulation index. 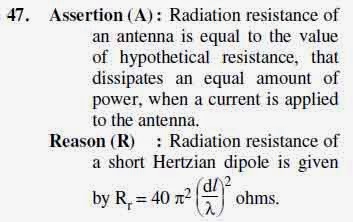 (D) The carrier frequency cannot disappear. 24. Indicate the noise source which belongs to category a different from that of the other three. 29. Which is the most linear temperature transducer? I. Acceptor level lies close to valence band. II. Donor level lies close to valence band. III. n-type semiconductor behaves as a conductor at 0 °K. IV. p-type semiconductor behaves as an insulator at 0 °K. (A) Options I and II are correct. (B) Options II and III are correct. 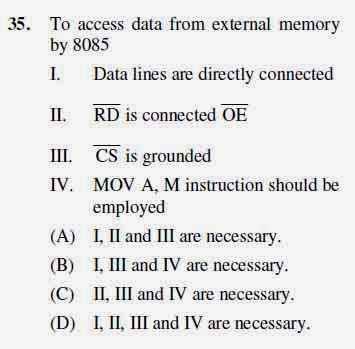 (C) Options III and IV are correct. 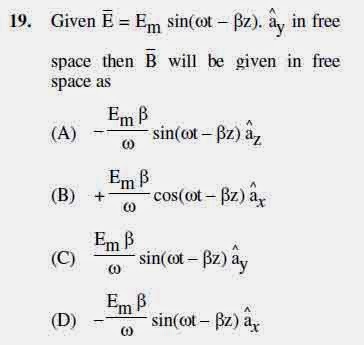 (D) Options I and IV are correct. 34. Which of the following statements are correct? II. Race-around condition occurs in a J-K flip – flop when both inputs are I. 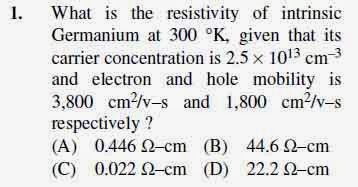 (D) I, II and III are not correct. 36. Which of the following statements will store value 3 in the variable a? 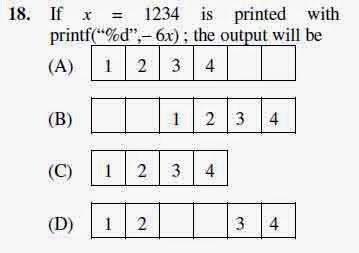 (A) Options I, II and III are correct. (B) Options II, III and IV are correct. (D) Options II and IV are correct. 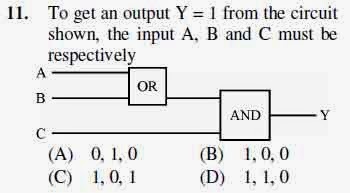 (A) Options I and III are correct. (B) Options III and IV are correct. (C) Options II and III are correct. 38. Indicate the false statement in the case of Armstrong modulation system. I. The system is basically phase and frequency modulation. II. The system is also amplitude modulation. III. Frequency multiplication must be used. 40. In a DVM, the accuracy of the measurement depends on I. No. of A/D conversions in a second. II. The resolution of A/D converter. III. A statistical processing of samples and a huge memory. IV. Speed of the processor should be high. (A)’ and the other labelled the ‘Reason (R)’. 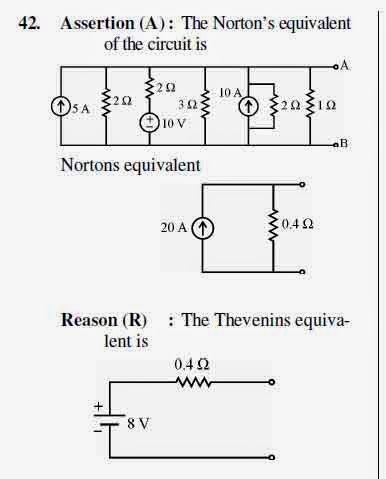 You are to examine these two statements and decide if the Assertion (A) and the Reason (R) are individually true and if so, whether the Reason is a correct explanation of the Assertion. Select your answers to these items using the codes given below and mark your answer sheet accordingly. 41. 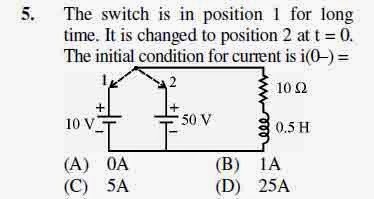 Assertion (A): A BJT is said to be operating in a saturation region if both the junctions are forward biased. Reason (R): In saturation region collector doping concentration is reduced. 43. 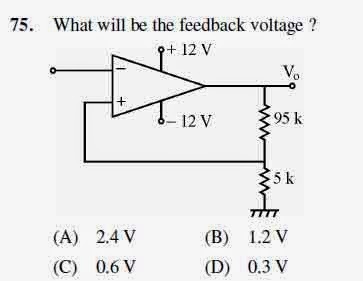 Assertion (A): Schmit trigger employs positive feedback and has hysteresis property that helps to compare two voltage levels. Reason (R): In some logic circuits rise and fall time play important role in switching. Schmit trigger improves the rise and fall time. 44. Assertion (A): The fan out of a CMOS gate is poor. Reason (R): The current driving capability of CMOS is poor. 45. Assertion (A): In 8085 processor, lower byte of address bus and data bus are multiplexed. A latch is required to separate address lines and data lines. Reason (R): Multiplexing makes processor slow speed and compact. 46. Assertion (A): Relational operators cannot be used to evaluate whether a condition evaluates to true (T) or false (F). Reason (R): Use of ‘=’ as relational operator will form a syntax error. 48. Assertion (A): Radio and Television receivers are generally of superheterodyne type. Reason (R): Wireless communication is possible by receiving signals through superheterodyne receivers. 49. Assertion (A): The LED is a light emitting diode, that gives out spontaneous emissions, when it is energized. Reason (R): The recombination of holes and electrons in semiconductor materials gives off energy in terms of light and heat. 50. Assertion (A): Power is integration of energy over a period of time. Reason (R): The accuracy of power measurement is dependent on integration time constant. Keep the sequence from least priority to highest priority. 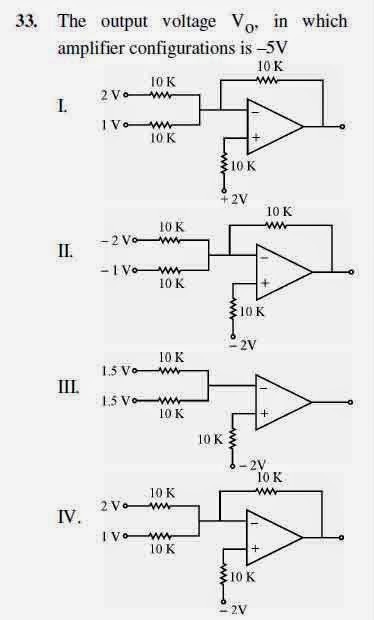 An operational amplifier is a direct coupled high gain amplifier with feedback. It is employed to perform a wide variety of functions such as summer, integrator, differentiator, logarithmic amplifier, oscillators, filters, comparators voltage to frequency converter, amplitude modulators, sample and hold circuit and so on. (4) Level translator and output stage It is most widely used analog device. 71. Which is a non-linear application?